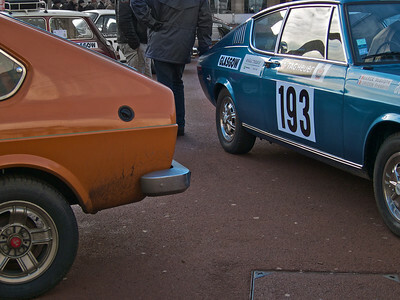 Made from 1961 to 1977. 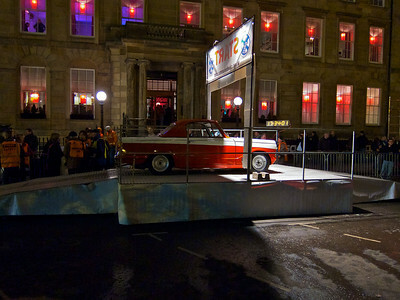 The car was styled as a 'Berlinette', which in the post-WWII era refers to a small enclosed two-door Berline, better-known as a coupe. 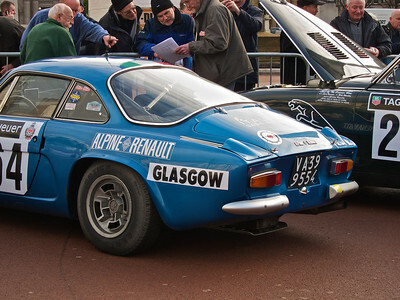 The Alpine A110 succeeded the earlier A108. 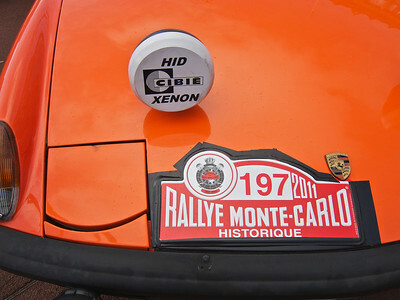 The car was powered by a succession of Renault engines of between 1.1 and 1.6 litres. 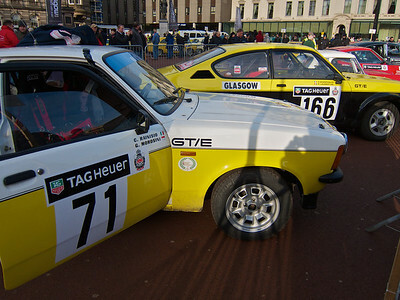 On th eviewing day in George Square, Glasgow. 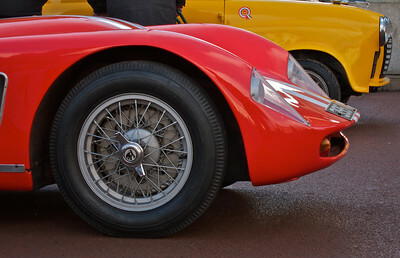 1957 Skoda 'Red Racer' 1100cc Le Mans racer. 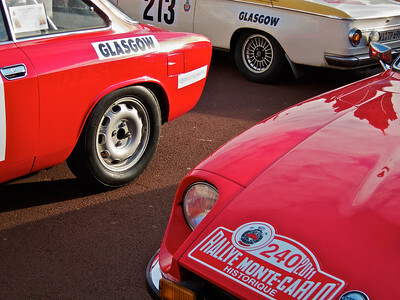 It never competed at Le Mans. 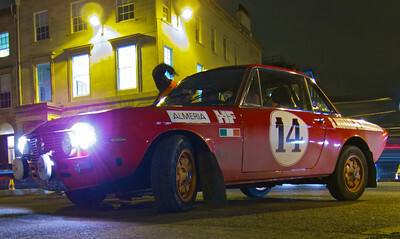 This is one of only two examples to survive. 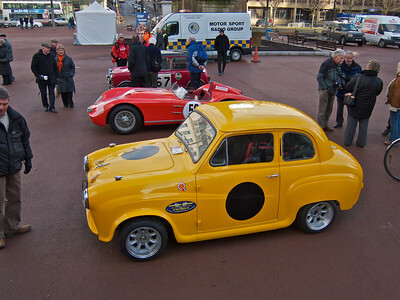 Single-seater Austin racer with Skoda sports on its right. 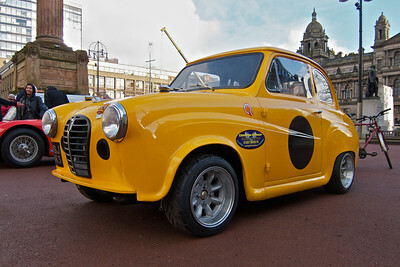 Single-seater racing Austin A35 (or possibly an A30, though ther's not much original left) wasn't to take part in the rally, luckily for the driver. 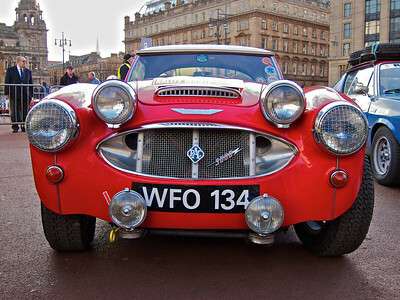 The cars were on display in George Square in the morning. 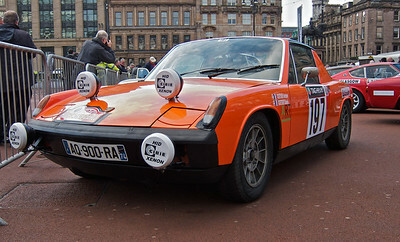 This is a VW-Porsche 914. 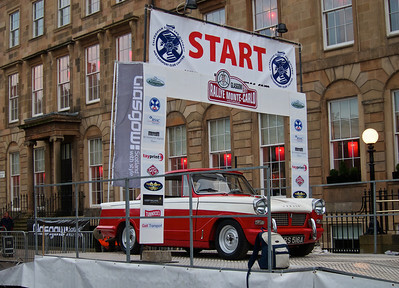 Triumph Herald on display at the start earlier in the afternoon. 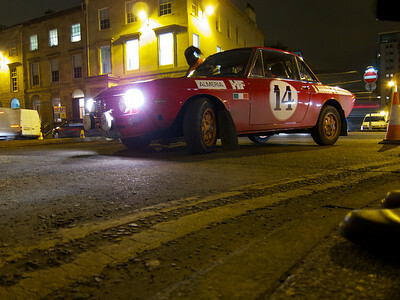 Another Lancia waiting to start the rally. The start. 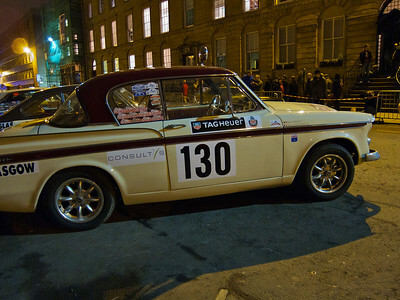 This Triumph seemed to be for display only. 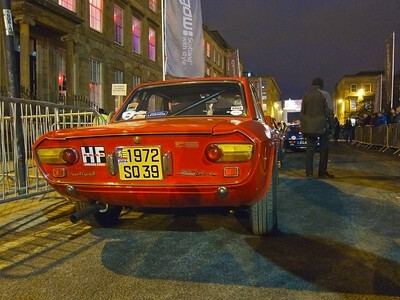 It's a 948cc model so pretty rare.